It's officially State Fair season in the one state that buys more trucks than anyone else: Texas, which means it's time for truck makers to show off the "new" special editions they've created with the Lone Start State in mind. So without further ado, behold the Texas-sized 2018 Ram Heavy Duty 2500/3500 Laramie Longhorn Ram Rodeo Edition. This luxurious workhorse is available with a standard 6.4-liter Hemi gasoline V-8 with 410 horsepower and 429 pound-feet of torque, or an optional 6.7-liter Cummins Turbo-diesel I-6 that produces a hefty 370 horsepower and 800 pound-feet of torque. The Ram Rodeo Edition also boasts several luxury features and some clever trailer towing options standard, and being Texas-inspired, it has big badging. Really big badging. “The 2018 Heavy Duty Longhorn Ram Rodeo Edition is the ultimate combination of capability, refinement and towing content,” said Jim Morrison, the head of Ram Trucks. Hitting the real truck stuff first, Ram Rodeo trucks come standard with the 5-inch gooseneck and fifth-wheel towing prep package. Additionally, the truck comes with the company's bed camera, meaning the driver can look at the guiding lines on the infotainment screen and hook up the trailer without relying on someone else to help with guidance. Providing both improved ride quality and load leveling, the truck also comes standard with Ram's rear air suspension. Skid plates protect the underside for those who take the "Rodeo" part of Ram Rodeo seriously. 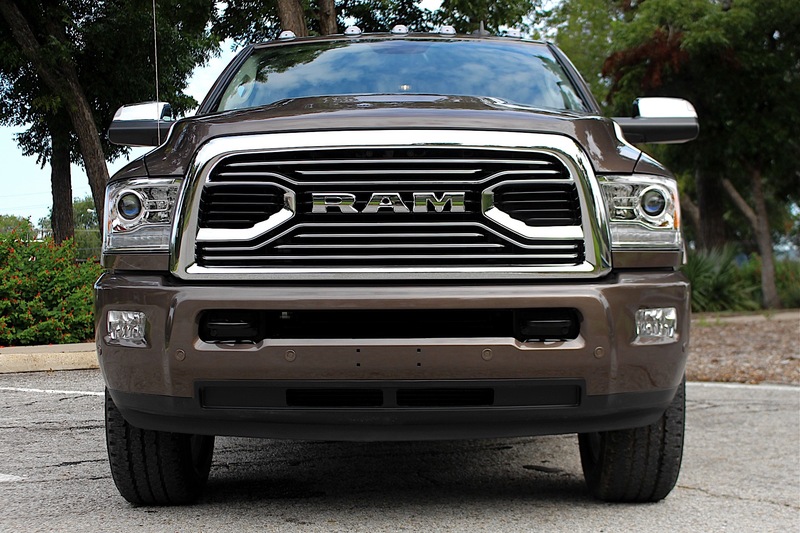 The Ram Rodeo trim is based on the Longhorn trim, meaning it's a luxury truck inside and out. Real materials, such as wood and steel are used throughout the cabin, and even cowboy-style buckles can be found in the rear seat map pockets. All that heft is supported by 20-inch aluminum wheels with optional painted pockets on the Ram 2500/3500 single-rear-wheel trucks, while Ram 3500 dual-rear-wheel trucks receive 17-polished aluminum wheels. 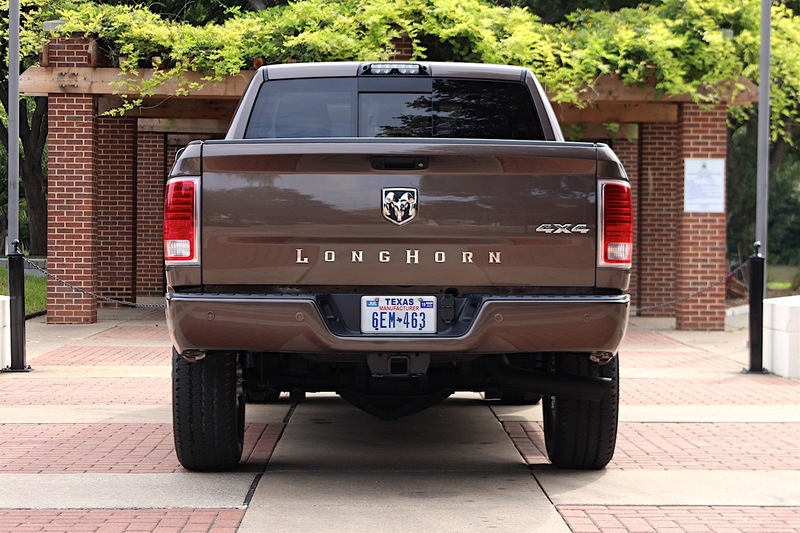 Lastly, Longhorn badging adorns the muscular exterior, including a tailgate badge that appears to extend from El Paso to Houston. "I would put our interior up against any other vehicle, not just trucks," Morrison told The Drive at the State Fair of Texas. The Texas Auto Writers Association has awarded Ram the Luxury Truck of Texas award two years in a row, and needless to say, the legendary truck brand is highly preferred by ranchers and farmers in the Lone Star State. Available in the third quarter of this year, the Ram Rodeo starts at $60,790 for the 2500 and $71,260 for the 3500 plus a $1,695 destination charge.